If you’re a regular reader of Delicious Everyday you will know I am accident prone, VERY accident prone. I’ve dislocated my knee by slipping over a non-existent spill on the kitchen floor, resulting in a 3 months on crutches. I’ve broken my toe , I’ve suffered numerous cuts and burns, and more recently I killed my laptop by spilling a glass of water on it. Well, today, was another one of those accident prone days. Today I was taking photos of these delicious Spiced Pumpkin and Feta Tarts when my camera fell over. The lens I use for my photos is quite a heavy lens (it’s a Canon EF 100mm f/2.8 USM Macro Lens) and I had the camera tilted forward on the tripod to try and achieve some top down photos. As I was adjusting the tarts the weight of the lens was obviously too much for the angle I was using and over fell the tripod with the camera attached and the lens smashed into the table. Expletives were uttered as I tentatively picked up the camera hoping above all hopes that the lens was ok. However, what I saw were several big cracks! More expletives were uttered before the tears came as I soon realised I had broken something else expensive, very expensive. I tried to call my fiance, because in fact the lens is his, not mine, as he uses it for his amazing insect photography, and I borrow it for my blog photos. I dreaded telling him, but wanted I had to get it over and done with otherwise I would be stressing all day. I know most people would probably get angry, or even yell at having their expensive camera lens broken, but not my wonderful fiance. He was more worried about whether I was ok as he thought from the tone of my voice that I’d hurt myself or someone had died. He simply said if it’s broken it’s broken and we’ll claim it on insurance and told me not to worry. And that, is one of the many reasons why I love him. He doesn’t sweat the small stuff and he has a wonderful understanding nature, particularly when it comes to me. In the 4 years we’ve been together he’s never once gotten angry at me, despite my many accidents, even when I accidentally hurt him in my clumsiness. I am very lucky to have such a wonderful and understanding man in my life, who loves me despite my faults. After calming down and looking at the lens again I think I might have only broken the filter attached to the front of the lens. My fiance will check it out tonight. Fingers crossed the actual lens is ok!!! 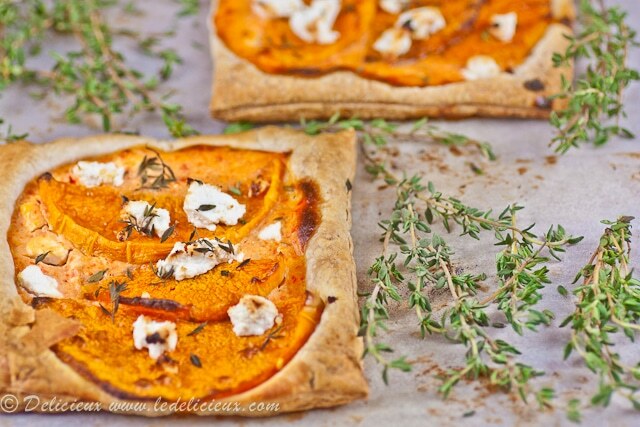 Now onto these delicious Spiced Pumpkin and Feta Tarts. I spotted these tarts in delicious magazine a few months ago when they had a feature on the lovely and talented Alice Hart which coincided with the release of her new cookbook, [amazon_link id=”0762778970″ target=”_blank” ]Vegetarian: A Delicious Celebration of Fresh Ingredients[/amazon_link]. While I don’t have her book yet, it’s certainly number one on my Christmas wish list. 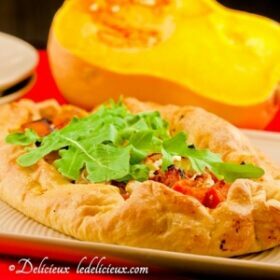 The feature in delicious showcased a number of delicious vegetarian recipes, but it was the Spiced Pumpkin and Feta Tarts that caught my eye. I’m a huge fan of pumpkin, which explains all of the pumpkin recipes you see on Delicious Everyday, so I couldn’t wait to try this recipe. The recipe calls for the use of Harissa, which I couldn’t find at the few local stores I looked in, so I decided to make my own. As my fiance and I are not fans of super hot food I decided to substitute some of the chilli for roasted red capsicum (red peppers for my American readers). This worked out really well as the roasted peppers gave a lovely depth of flavour to the Harissa, so I’ve included the recipe below, but by all means feel free to use a store bought Harissa paste. These little tarts were so delicious I will definitely be making them again. 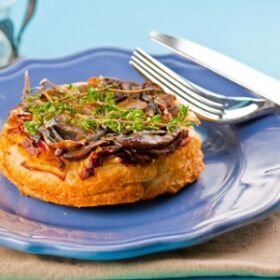 They were full of flavour, with a little hint of chilli, and went perfectly with the salad I chose to pair the tarts with, making them a wonderful light dinner. I’d also like to say thank you to the Foodista team for featuring Delicious Everyday as their blog of the day today! Tart recipe adapted from Alice Hart's [amazon_link id="0762778970" target="_blank" ]Vegetarian: A Delicious Celebration of Fresh Ingredients[/amazon_link]. To make the Harissa, preheat the oven to 200 degrees Celsius (390 Fahrenheit) and place the capsicum on a tray lined with baking paper and roast until the skin is black, about 20 to 25 minutes. Remove from the oven and place in a plastic bag, seal and allow to cool. Once cooled you should be able to easily remove the skin. Discard the stalk and seeds. Toast the cumin and coriander seeds in a frying pan over a medium heat until fragrant. Set aside to cool. Once cooled add to a food processor fitted with a steel blade and process until a powder forms. Add the remaining ingredients and process until you have a smooth paste. Set aside while you make the tarts. To make the tarts, preheat the oven to 200 celsius (390 Fahrenheit). Place the pumpkin slices in a bowl and add the olive oil and season with salt and pepper. Toss to combine and then place in a single layer on a baking tray lined with non stick paper. Bake for 20 to 25 minutes or until tender. Reduce the oven to 190 celsius (375 Fahrenheit). Cut the feta in half and cut one half into cubes and crumble the other half. Add 1 tablespoon of the Harissa with the yoghurt, crumbled feta and egg and mix to combine. 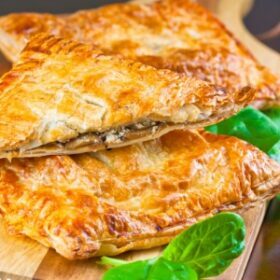 Cut the puff pastry sheets into 4 squares and spread each square with the Harissa mixture leaving a border at the edge. 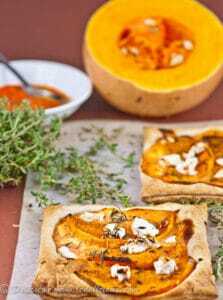 Top with slices of roasted pumpkin, and feta cubes before sprinkling with Thyme leaves. Bake for 15 to 20 minutes, until the pastry is golden. Oh my word! This looks amazing and has definitely made it on my “list of things to make SOON”! Wow! What a great idea and delish flavors! 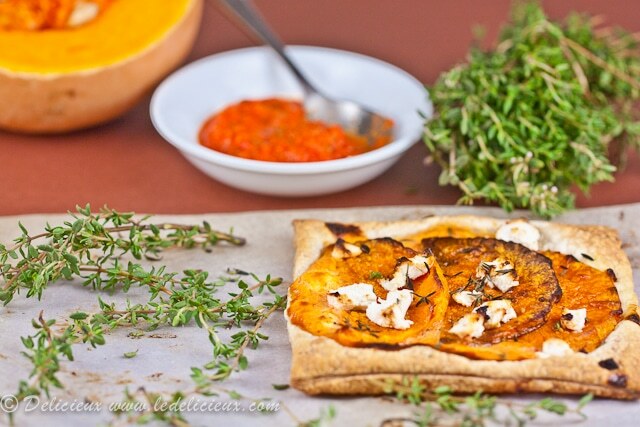 Pumpkin and feta in those savory tarts! Glad to cook along with you on this event! Oh dear! I can imagine what you must have felt and your fiance is really very sweet. My husband is also a very calm person and hardly takes any worries about such things. Life becomes beautiful when your partner supports you and understands you. Mm I’ve been really into feta lately and it must be so good against the sweetness of pumpkin. Thanks for another great recipe! That’s terrible about the lens, but the good is that you are in one piece ;-). Welcome to the Squash Blog Hop! The pumpkin and feta tarts look utterly delicious! Thank you for sharing. I’m so pleased the damage to the lens is not fatal – it would have made for very pricey tarts. Which, incidentally, look lovely! I’m very fond of pumpkin and anything wrapped in pastry, so I’m completely sold. Hey, be careful with the camera :))) I’m glad it turned out ok! Ouch on the camera. I’ve had to watch toddlers break my very expensive glasses twice and then my camera. It’s always heart breaking. But, sounds like you have a great fiance. I thought I was done with pumpkin but I love this recipe. It keeps the pumpkin more intact and is lovely to look at. I love love tarts. Thanks Winnie 😀 And I was so relieved when I discovered it was only the filter! oh dear, i’m glad he was calm. the tarts look perfect, you taught me how perfect pumpkin and feta are. Thanks 😀 Pumpkin and Feta really are a great combination. Baked feta is one of the best flavours in the world, coupled with pumpkin and flaky pastry? It’s heavenly! Gorgeous pics Jennifer. My heart went with a big THUD!!! reading your post… feels like I was in your shoe when the camera came tumbling over… it happened more than once with my little PnS…. Amazing tarts and photos. Delicious. Found you on the blog hop! Love this recipe. The tarts look so dainty and delicious. They would be perfect for brunch 🙂 Thanks for sharing. It would be perfect for brunch Britne 😀 Thanks for visiting. I love everything about this tart! The combination of flavors, the gorgeous clicks! Ooh! and the choice of herbs! just lovely! Oh Jennifer…..hope the lens is OK. At least it is covered under your insurance. And sounds like you have a great fiance so hold on to him tight!! I’m sure he’s going nowhere with such wonderful tarts to fill his belly! 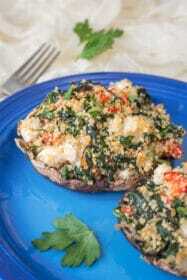 I adore this recipe, it’s so creative, sweet and savory. Hoping your camera lens has minimal side effects from the fall. So nice to have you join in on blohop and look forward to reading more of your culinary adventures. These tarts are so beautiful! 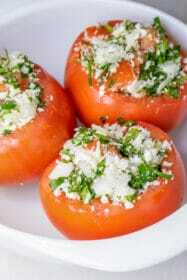 I love feta cheese, and combined with cumin and coriander, it must be irresistible. O no!! I hate it when that happens but have found that camera and lenses are a bit sturdier than you would think. I’ve smashed mine pretty badly on occasion and there all still working. I understand that it’s only the filter from twitter so that’s good! I have to admit I am surprised the lens survived as it went down with quite a thud. Thankfully Canon make strong lenses. Thanks Sylvie. 😀 I’m really hoping it’s just the filter….now getting the filter off after it was smashed into the lens is another thing….